With three seasons under its belt, Outlander has not only brought the beloved, time-defying romance of Jamie Fraser and Claire Randall to life, but it has also built up an invested, enthralled fan base around it. 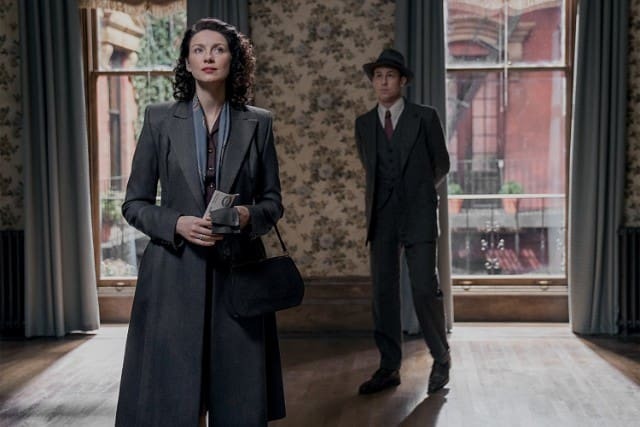 If you happen to be one of those fans eagerly awaiting Outlander's return to Starz on Nov. 4 for season four, why not prepare yourself with a little refresher? It's been a good, long while since season three wrapped on Dec. 10, 2017, which means unless you recently re-binged the season, details are fuzzy. With that in mind, here's a recap of season three and — bonus! — a little preview of what we can expect in season four. Season three begins with Claire and Jamie not only in different places geographically but also time-wise. Jamie finally kills Randall during the Battle of Culloden, but unfortunately, his clan has been defeated by the English. Injured and imprisoned at Ardsmuir, his friends executed, and Claire gone, Jamie feels like he has no further reason to live and begs to be killed. Meanwhile, in 1940s Boston, Claire decides to look toward the future, work on her relationship with Frank and raise baby Brianna together. Claire takes on the new challenge of attending medical school in an era when women were still struggling to find parity in the workplace. Back in Scotland, through the connections of John Grey, Jamie leaves the prison and goes to work on the English estate of Dunsany where he fathers a son, Willie. 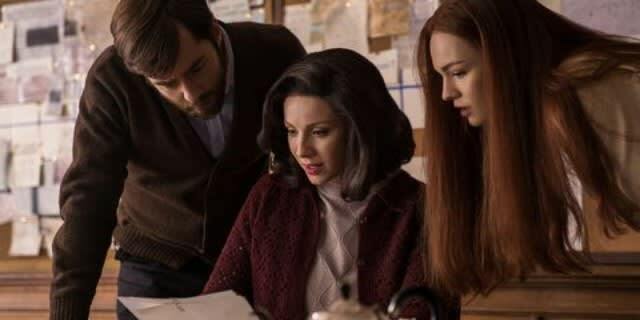 By episode four, Claire and Jamie's daughter, Brianna, is grown up, and Claire is older with a time jump to the late '60s. Claire is a surgeon, but she is now a widow after Frank dies in a car crash. After revealing the truth about time-traveling and Jamie, Claire gets help from Brianna and Brianna's fiancé, Roger, to get back to Jamie in 18th-century Scotland. Returned to Scotland, Claire is coming onto a very new kind of scene. Jamie has adopted the alias of Alexander Malcolm and is working as a printer and smuggler; he's also married Claire’s former nemesis, Laoghaire. 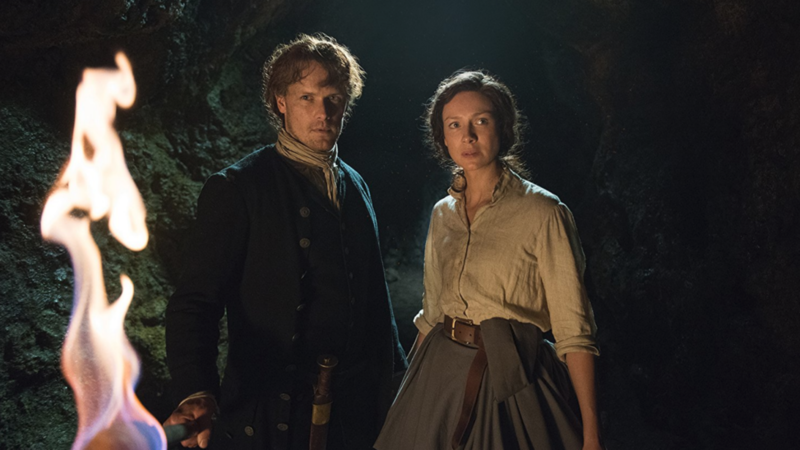 Claire's return throws Jamie for a loop, eventually leading to the dissolution of his marriage to Laoghaire and paving the way for a romantic reunion with Claire. In order to separate from Laoghaire and leave her with enough money, he needs the jewels he left stashed away on Silkies’ Isle. In true Outlander fashion, the situation becomes even direr when Ian — along with the jewels — is kidnaped by sailors who apparently came for the same treasure. To rescue Ian, Jamie and Claire find a ship sailing for Jamaica, but a twist of fate puts them on two separate ships, The Porpoise and The Artemis. On The Porpoise, Claire is held captive by Captain Leonard as bait to trap Jamie, who he wants in relation to the murder of a man Claire killed in self-defense. In her bid to make an escape and somehow warn Jamie, Claire jumps overboard and ends up washed ashore on an island, where she meets eccentric priest Father Fogden. Aboard a now-crippled Artemis, Jamie and crew have taken temporary refuge off the coast of the same island. Learning of this, Claire rushes to find the ship making its way back out to sea and shines a mirror in the sun to get Jamie's attention. Seeing it, he goes back and they’re reunited. Claire, Jamie and Ian make their escape on The Artemis, but fate being the fickle and cruel thing it is, the ship is once more damaged in a storm, Claire is swept overboard and Jamie dives in to rescue her. The season ends with them waking up on the shores of the new American colony of Georgia. What can we expect in season four? For fans familiar with the book series, season four will follow the events of Drums of Autumn, the fourth book in Diana Gabaldon’s Outlander series. As we can see from the season four trailer, Claire and Jamie adjust to their new life in colonial America. But as is expected, that's easier said than done — especially with the threat of revolution on the horizon. They will have to decide which side of history they want to be on while learning how to navigate the politics and society of a country discovering what it wants to become.